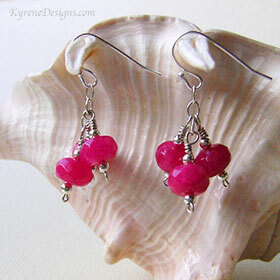 Add a splash of bright pink with these pretty faceted Jade earrings. 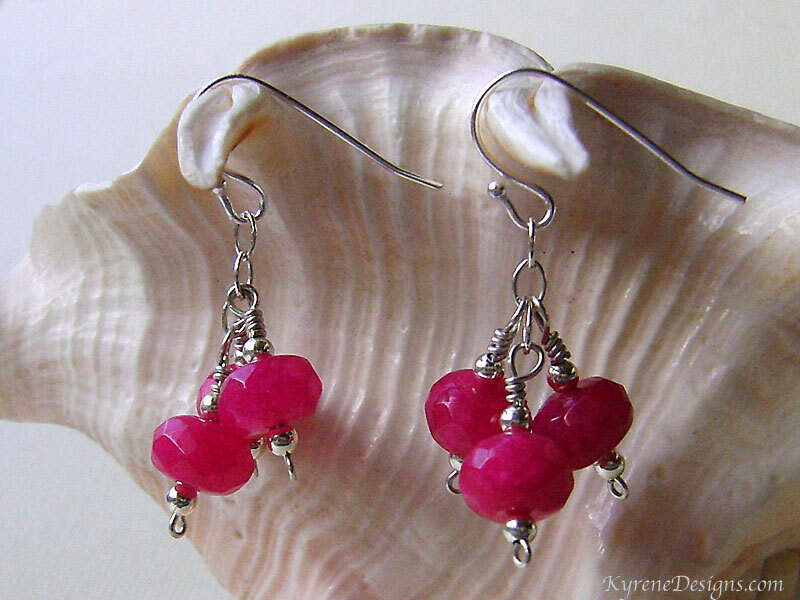 Gemstones are carefully hand-wrapped on sterling silver, with sterling posts and scrolls. Length: 25mm overall. Permanently dyed jade. Options: contact sales@kyrenedesigns.com to swap to silver-plated clips, sterling hooks (large photo), or extreme hypoallergenic hooks. Hooks hang 35mm overall. 14ct goldfill bespoke option also available.